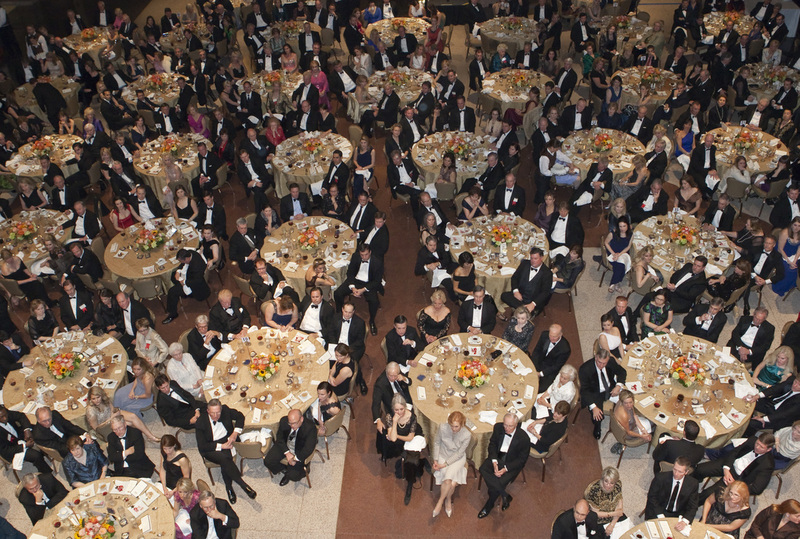 The Texas State History Museum Foundation honored two legendary public servants, Secretary James A. Baker, III and Ambassador Robert S. Strauss, with the History-Making Texan Award at the Foundation's annual gala. The event took place on Thursday, March 1, 2012 at The Bob Bullock Texas State History Museum in Austin, Texas. The sold out event was attended by more than 500 business, political, and community leaders gathered to salute this year's honorees. The event was co-chaired by Molly Hasie Sherman of Austin and Debbie Raynor of Dallas. Jan Felts Bullock served as the evenings honorary chair. In addition to honoree tributes by Karl Rove and Larry Temple, program participants included Grammy Award-winner and native Texan Jack Ingram, NASA Astronaut Colonel Tim Kopra and Foundation Board President Michelle K. Brock. Thank you to all of our 2012 Sponsors and wonderful Dinner Committee! Rob Strauss accepted the award on his grandfather's behalf.